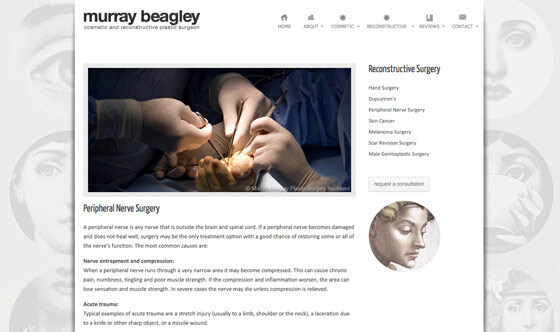 Dr Beagley - branding, photography & medical website design Auckland. We learnt about Murray's love of the renaissance at our initial meeting. This was the start of our renaissance branding journey. 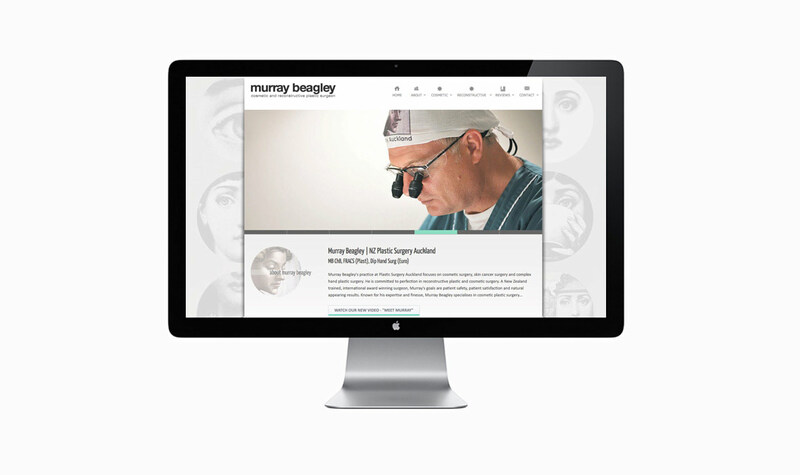 We created our first medical website design in 2007 for Murray Beagley, award winning Auckland plastic surgeon. We redesigned the website in 2012 to adapt it for mobile devices and to be more in synergy with his new plastic surgery practice decor. Allan, AMG's in-house photographer, did all the photography apart from the before/after patient shots which were taken by Murray. With the name change 'Plastic Surgery Auckland' we had to adapt our digital marketing accordingly. AMG carried out a Google 'AdWords' campaign resulting in Plastic Surgery Auckland gaining top ranking for all chosen keyword phrases. 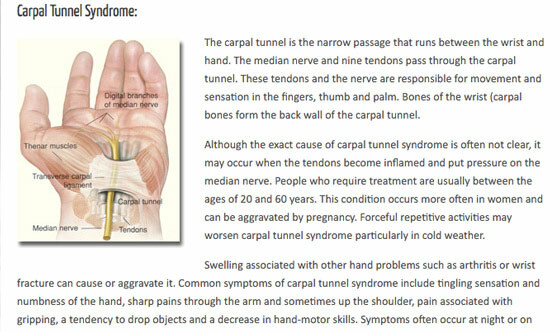 The end result is a top organically ranked, visually unique, medical website design that adapts to all devices. 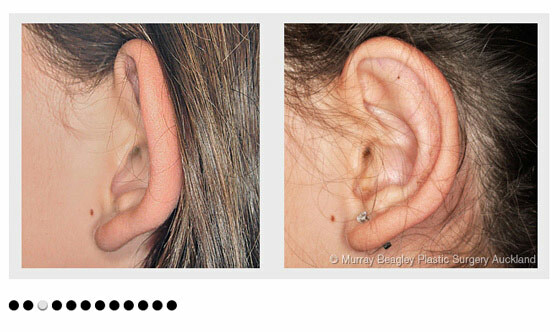 We created responsive interactive sliders for the homepage and the before/after photo galleries. Videos were a recent addition to the website. All web pages were embedded with Google Analytics and optimised for top organic ranking in a highly competitive market. Plastic Surgery Auckland has maintained its top ranking position for our chosen niche keywords. 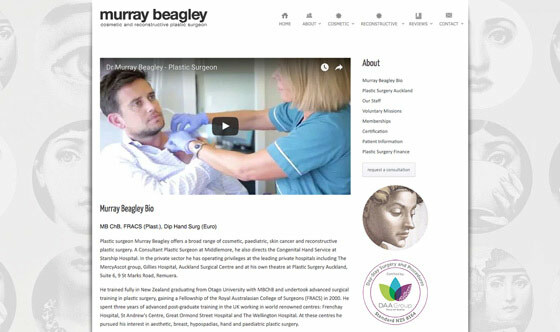 AMG manages Plastic Surgery Auckland's social media pages and website, providing monthly Analytics reports and web updates.